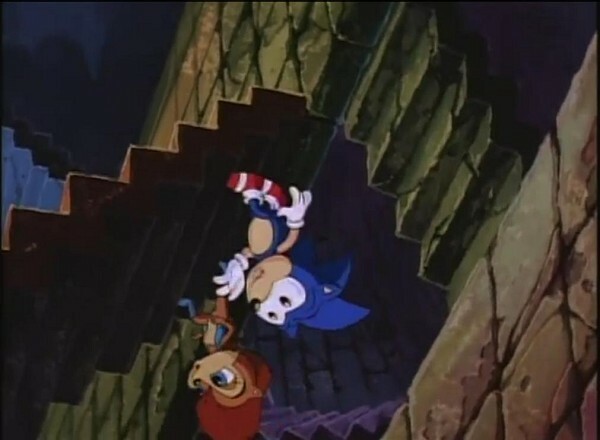 Sonic the Hedgehog is an American animated TV series. 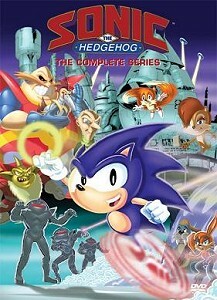 The show is based on the Sonic the Hedgehog video game series and aired two seasons on ABC from 1993 to 1994. 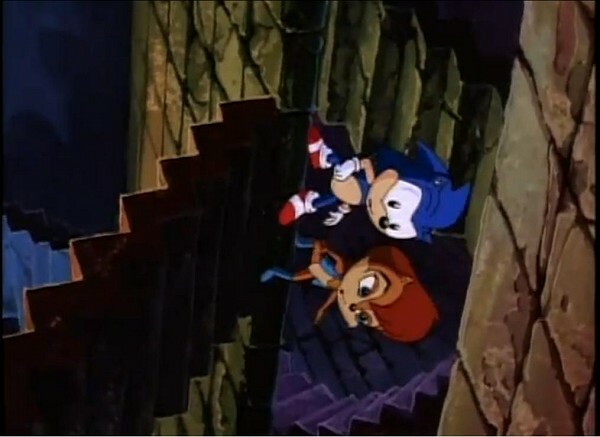 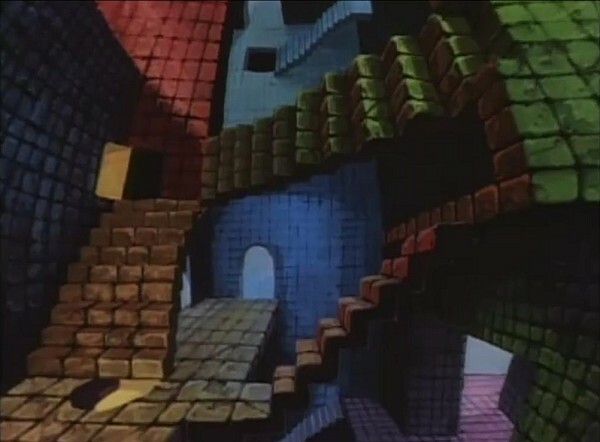 In episode 04 of the 2nd season "Blast to the Past, Part 1" Sonic and Dulcy find themselves in a palace, where stairs constantly change directions. 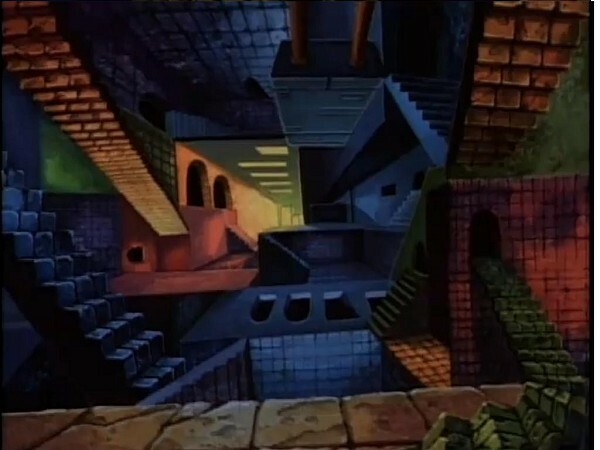 It reminds Escher's artwork "House of Stairs". 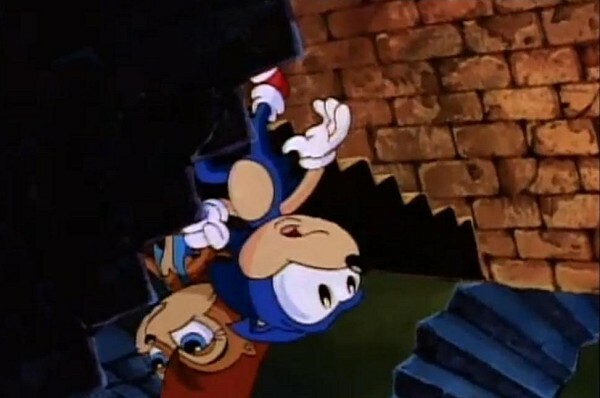 You can see screenshots below.